Why You Must Always Comply with Court Orders: Wetherington Hamilton, P.A. Currently, my practice focuses primarily in the area of collections, which in Florida, can be broken down into two main steps- they are obtaining Judgment and execution or collecting sums due as a result of the Court having entered Final Judgment. Once final judgment has been entered, there are various methods available for collection of that judgment. Often, the Final Judgment contains language requiring defendants to complete what is known as a Fact Information Sheet as provided in Florida Rule of Civil Procedure Form 1.977, or defendants may be subpoenaed to appear at deposition in aid of execution. Parties to a case are all required to comply with court orders; when a party fails to do so, the Court has the authority to find an individual in contempt. The individual is given the opportunity to purge herself/himself of the contempt by complying with the Court Order. The court may order monetary or other sanctions for failure to comply with a Court Order. 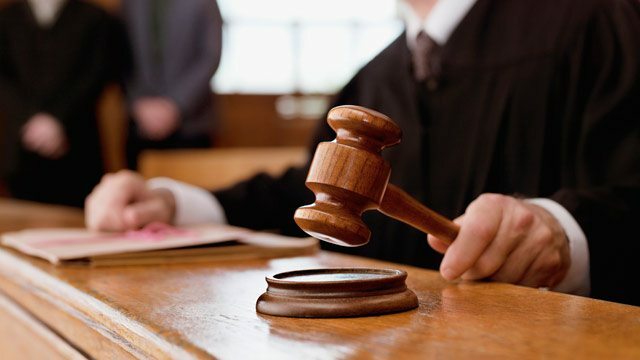 I regularly hear judges tell defendants that there is no longer debtor’s prison and that they do not send people to jail for not having money to pay their debts, but when people fail to provide a fact information sheet as ordered by the Court or fail to appear at deposition after having been served, they can be found in contempt of court and, after proper notice (personal service), arrested. This is never our goal, but it can happen. Approximately ten years ago, I brought my then 9 year-old daughter to work on “bring your daughter to work” day. The day began as a normal day (and I had no court appearances scheduled that day), but soon after arriving at work, I was told that I had to go to court because a defendant had been “picked up” for not appearing at a deposition. So I brought my daughter to the court house with me. When we arrived, a woman, our defendant, dressed in an orange jump suit and in hand cuffs, was in the court room. After a hearing in front of the presiding Judge, I took her deposition while my daughter waited patiently nearby; the Judge then ordered the woman’s immediate release. As you might imagine, this made quite an impression on my young daughter. So what is the bottom line? Parties cannot be arrested for not having money to pay their debts…but parties to a case are all required to comply with Court Orders. Joan W. Wadler has been a member of the Florida Bar since 1991. Her practice concentrates on Collections and Commercial Litigation, Real Estate Litigation and Associations Law. Next PostBuying or Selling Real Estate in Florida? You Need an Attorney!